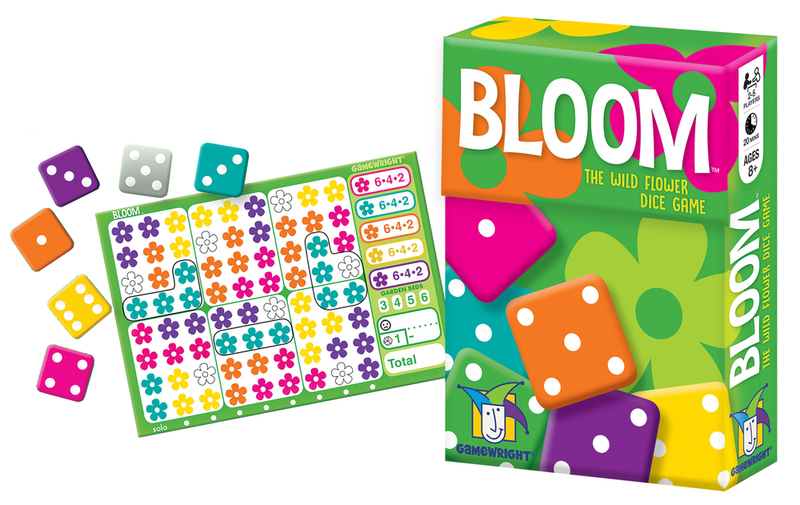 Flowers are power in this freshly-picked dice game! Roll the dice, choose a color, and then circle the number of matching flowers. Each roll offers a bouquet of possibilities: should you try to snag all of a certain color, or attempt to fill a “mixed dozen” instead? Choose wisely— the dice you pass might score for your opponents! With a little luck and a lot of pluck, you'll be the blooming best! If you haven’t already noticed, we’re big fans of “roll and write” games. 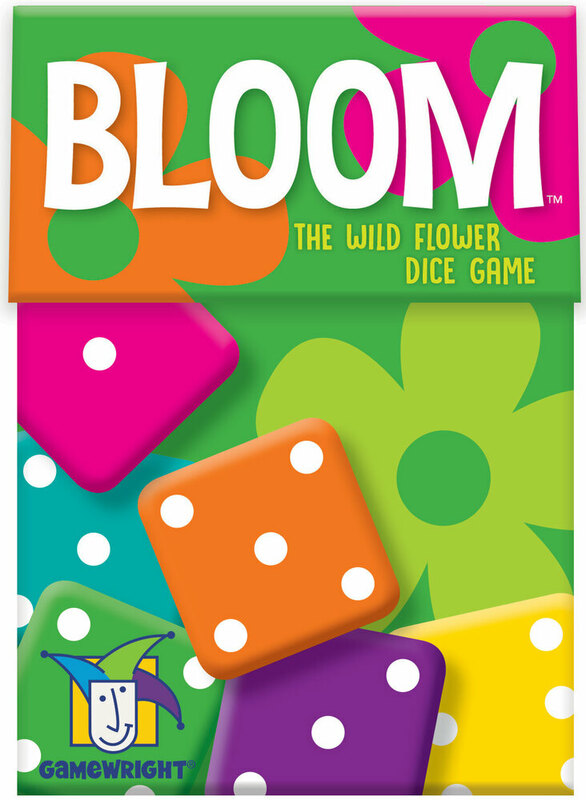 From Qwixx, to Rolling America, Qwingo, and now Bloom, the simple combination of dice and score pads makes for a wonderful “take anywhere - play anywhere” experience. Inventor Wouter van Strien created this clever game which is part spatial puzzle, part visual planning challenge. 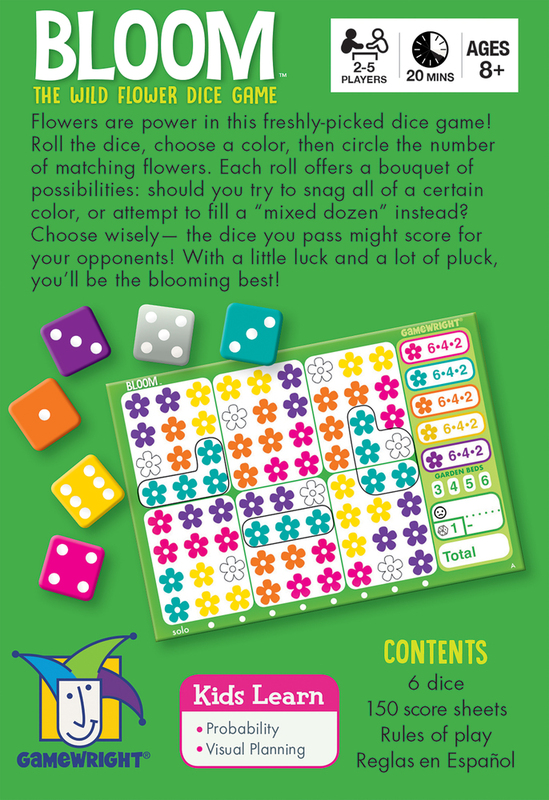 With five different scoresheet layouts, you’ll have lots of opportunities to try a variety of flower picking skills!